Myths and legends have surrounded the deep, cold Loch Ness of the Scottish Highlands for centuries, evoking fear, wonder, curiosity and obsession in the hearts of locals, travelers and readers alike. (Figure 1). Tales of the Loch Ness Monster are famous worldwide, but there are other stories of water beasts far older than that of Nessie, reaching back at least fifteen hundred years, and perhaps much further. The loch has certain properties, such as great depth and low visibility, that give it an air of mystery which might have inspired some to wonder what nameless creatures could hide beneath the waves. Humans have lived near Loch Ness for millennia, since the end of the last glaciation 10,000 years ago. They have hunted in the forests, tilled the fields, and built homes on the loch’s shores. Urquhart Castle was built on the loch’s edge due to the strategic view it offered of the expansive body of water. Myths of various water beasts have been persistent in Highland lore throughout history, but it was not until the 1930s that the legend of one particular monster in the loch began to develop. The increase in monster sightings coincided with the construction of a road on the northern shore of Loch Ness, which opened up the area to tourists and other visitors interested in the Highlands. Whether the Loch Ness Monster truly exists, or is a long-upheld mythological tradition, is still impossible to answer, because the loch itself is not easily explored and hides its secrets well. For many years the people followed the Druid’s advice and were diligent to replace the stone each time they drew water from the spring. One day, a woman went to the spring and left her child at home to play near the fireside. Just as she had finished filling her pail with water she heard her child cry out and knew he was in danger of being burnt. She rushed back to her home and saved the child, yet in her panic neglected to cover the spring once more. To the dismay of the people living in the valley, the spring overflowed and began to rapidly fill the long, narrow vale. The people retreated into the mountains and lamented in Gaelic: “Tha loch ‘nis ann, tha loch ‘nis ann!” meaning, “There is a lake now, there is a lake now!” and the hills and mountains echoed back their sorrowful cry. The loch has remained in this same valley, and to this day is known as Loch Nis (Witchell 12) (Figure 2). This story demonstrates that Loch Ness has been a subject of fascination for the people living near it far back into history. The idea that a former civilization lies inaccessible beneath the waters is just one of the many unanswerable questions regarding what is invisible in the loch. The origins of the loch in human history have become the subject matter of legend. However, the actual origins of Loch Ness predate human habitation of the area. Loch Ness is located in the northernmost section of the Great Glen of Scotland, a large mass of land situated between the Atlantic Ocean and the North Sea (Bridgland 5) (Figure 3). 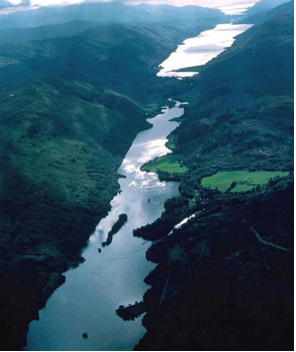 The loch lies near the Great Glen Fault, one of three fault lines in Scotland. The Great Glen fault is the most active of the three and is the main source of most tremors and earthquakes in Britain (18). It is possible that early human settlers might have attributed such tremors to the rumblings of a hidden monster rather than to the fault line. During the last glaciation over 10,000 years ago, Scotland was covered by 4,000 feet of ice. Nothing but the tallest mountain, Ben Nevis, which is 60 miles to the southwest of Loch Ness, was left exposed (Witchell 9) (see Figure 3). The glaciation smoothed out the sides of the Great Glen and created landforms such as the long, thin double-basin of Loch Ness, the largest lake in all of Britain. (Bridgland 19, Jones et al. 38, Witchell 9). Strone Point, a strategically positioned spit on which Urquhart Castle was later built, was also exposed by the glaciation (Bridgland 19) (Figure 4). Without the great weight of the glaciers, the landmass of Scotland rose slowly by a few millimeters a year. Fjords once connected to the ocean were eventually cut off and became inland lakes. Over time these isolated lakes lost their salinity due to rainwater, tributary rivers, burns and streams. Certain marine species, such as salmon and trout, were trapped in these lakes and evolved to survive in the new freshwater environment. This evidence of other adapted animals has inspired theories regarding the ancestral origins of the Loch Ness Monster (Bauer 11). a standing water called Lough Nesse, which hath a property never to freeze, and is foure and twenty miles long, and in some places is two miles, and in others three miles broad, and lyeth betwixt the Highlands so that she will doe excellent service by preventing the Highlanders to make their passage that way, which is frequented by them (qtd. in Bridgland 110). The Highlanders were a great source of fear to the English, who saw them as savages, comparable to the “Red Indians” of the Americas (Bridgland 124). The aforementioned property of Loch Ness to never freeze is due to its depth and volume. The heat generated by the loch throughout the winter months is equivalent to burning two million tons of coal, and keeps snow from settling on the ground in the immediate area. This helps keep the surrounding land, which is often plagued by cold mist, storms, and few hours of sunlight, much warmer than if no lake were present (Witchell 11). Rich woodlands of birch, hazel, oak and pine lie on the western side of Loch Ness (Baddeley 230, Bridgland 21) (Figure 6). The Ruisky Forest is known for its enormous trees; some specimens of birch have reached nine feet in girth on occasion (Tranter 121). The area is home to a variety of large or rare animals, such as the golden eagle (Aquila chrysaetos), which is the largest bird in Britain, and the red deer (Cervus elaphus), the country’s largest known animal. The elusive Scottish wildcat (Felis sylvestris grampia) still can be found on occasion in the Highland woods, which was also home to wolves (Canis lupus) until the last was killed in 1743 (Witchell 11-12). The woods surrounding Loch Ness rise to approximately 1,000 feet up the hills before giving way to heather moors, peat bogs, and bare rocks (Barron 233, 50, Tranter 121). Rosy hued hills give way to mountains, which rise more than 2,000 feet on each side of the loch. The River Ness issues through a gap in the mountains at the north end of the loch (Baddeley 150, Witchell 9). The foothills are close to the shore on the eastern side of the loch and the area is dominated by scree, which are small mounds of loose stones (Baddeley 230). For the most part, the shores of Loch Ness are quite steep and drop sharply off into the water (Witchell 11). Although humans have lived in the Highlands for thousands of years, the land directly surrounding the loch has been developed slowly and much of the original woodland remains (Witchell 11). Very little is known about the first inhabitants of the Scottish Highlands. They migrated in log canoes and hide-covered boats up the coasts of Britain approximately 10,000 years ago, not long after the end of the last glaciation. 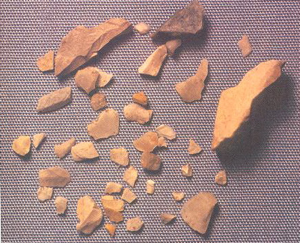 Evidence has been found, in the form of high concentrations of shellfish remains, along coastal areas where early humans traveled (Bridgland 19). There is also more recent evidence dated to 5,000 b.c.e. of hunter-gatherers living in the area. A hearth, along with flint, shells, and red deer bones, were all excavated from a site in Inverness, the city just north of Loch Ness (Figure 7). Another site with shellfish debris and red deer antlers was found in Muirtown, just across the River Ness, which date to approximately 4,000 b.c.e. (20) There is some evidence, such as hazelnut trees growing in a greater concentration than usual, that early hunter-gatherers managed some of the woodlands around Loch Ness as a food source. After 3500 b.c.e., when agriculture was developed in Britain, early farmers cleared some of the woodland near the loch. Little evidence remains of these farmers except a few objects made of stone. 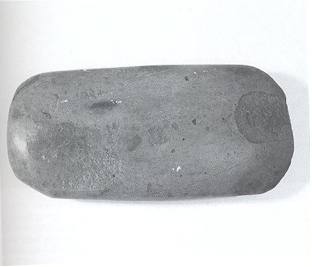 Three stone axes were found in 1892 near Loch Ness that date to the beginning of agriculture in Britain. They were most likely used to clear the woodland to create agricultural fields (21) (Figure 8). Once agriculture commenced in the Highlands, the farmers began building settlements, but still very little was built on the shores of Loch Ness itself. 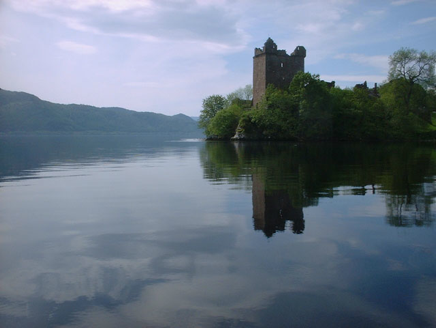 The exceptions to this were structures built for their strategic view of the loch, such as Fort Augustus on the south end and Urquhart Castle close to the north end (see Figure 1). a pleasant and romantic situation, commanding a most agreeable view of Lochness, almost from the one end of it at Fort Augustus to the other at Bona, and also of the lands woods and hills surrounding the loch on the south east and north (qtd. in Bridgland 124). The woods near Urquhart, renowned for their deer, were kept as hunting grounds for the nobility in the castle (Bridgland 69). Some timber was harvested, however, and sold in Inverness. Urquhart became a nexus for trade in the 16th century, and goods from the surrounding area were gathered there before being shipped down river to Inverness, from which they were further distributed. In addition to timber, the furs of beaver, fox, and pine marten were sold, as well as salmon and trout catches from the loch. The trade created constant water traffic between Strone Point and the River Ness (71, 69). In addition to castle fortresses, Highlanders used another defensive structure particularly associated with lochs to guard against attack. 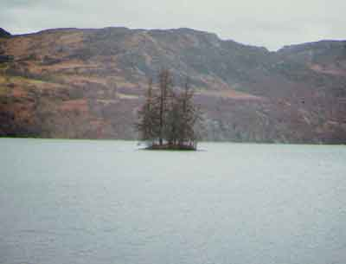 These are crannogs, a structure within the loch built on either stilts, or an artificial island, or sometimes a combination of the two (Figure 9). Crannogs were linked to the mainland by a causeway which could be removed if need be. Some lochs in the Highlands contained many of these, but Loch Ness is so deep only one was built on the human-made island Eileen Muireach, also named Cherry Island (Bridgland 24). The Loch Ness Monster has been sighted off of this crannog, and there is the possibility that the crannog has even been mistaken for the monster (“A Guide and Tour of Events and Places Around Loch Ness”). Although Loch Ness is believed to be home to the most famous of Highland monsters, this creature is by no means the only one in Scottish lore. An ancient tradition in the belief of monsters and spirits dwelling within Scotland’s lochs includes denizens such as water-horses, kelpies, and water-bulls, among others (Tranter 79, Bauer 159). For centuries the animal believed to live in Loch Ness was called the ancient name Each Uisage, Gaelic for water-horse (Holiday 88). Parents told their children not to play near the shores of Loch Ness for fear of another mythical creature, the water-kelpie (Bauer 2). A kelpie is traditionally known as a sly creature that lures weary travelers from their paths into bogs or lakes where they subsequently drown (Witchell 13). Oral traditions within the Highlands, and in many other locales around the world, speak of giant sea serpents. Celts, Vikings, Irish Picts, and even Native Americans told tales of malevolent sea monsters that would prey upon unwary seafarers (Bauer 12). Located only a mile or two from Loch Ness, on the grounds of Balmacaan House, are Neolithic carvings of giant sea serpents drawn by early human settlers (Holiday 134). Ancient ritual and symbol stones carved by Pictish inhabitants of the Highlands also depicted serpents and other monsters. It seems there was widespread belief in the Great Glen of large and mysterious loch inhabitants, for multiple bodies of water even bear the name Loch na Beiste, Lake of the Beast (Tranter 79). The earliest records available referring to monsters in Loch Ness were written by Celtic missionaries who traveled through the Scottish Highlands spreading Christianity in the 5th century c.e. (Tranter 79). The most prominent of these was Saint Columba, who is said to have encountered a water monster in the River Ness (Bauer 159). The tale is recorded by the abbot Adamnan of Iona in his most famous work Vita Columbae, or The Life of Saint Columba, which he wrote sometime in the 7th century c.e. (Barron 51). Fourteen hundred years ago, in the year 565 c.e., Columba saw in Loch Ness the aquatilis bestia, as Adamnan named it (Holiday 2). In one version of the story Columba came across a group of Picts burying a man bitten by the monster. Columba placed his holy staff upon the man’s chest and brought the man back to life. A different version tells of a Pict who was killed by the monster while swimming. Seeing this, Columba ordered one of his men, Lugne Mocumin, to swim after him. Mocumin did so without hesitation; when the monster reappeared, Saint Columba made the sign of the Cross, saying, “Thou shalt go no further nor touch the man; go back with all speed.” In terror the monster retreated immediately and Mocumin’s life was spared (Witchell 14). The third story of Saint Columba and the monster is one in which a peaceful agreement was made between the two. The aquatilis bestia willingly towed the Saint’s boat from one shore to the other, and in thanks Columba granted it freedom within Loch Ness for eternity (Witchell 14). Mention of the Loch Ness Monster reemerged in written history in 1520 when Fraser of Glenvackie supposedly fought and killed the last dragon left in Scotland, yet it was also said that he was not such a hero as to have defeated the Loch Ness Monster (Witchell 15). Despite such stories, many locals living near Loch Ness are adamant that there never has been a tradition of monsters or mythical creatures living in Loch Ness (Bauer 160). Chasing the sea-snake in his roaming. The story of the Loch Ness Monster, affectionately known as Nessie by Highland locals, was unknown outside of Scotland until fairly recently. Not until near the end of the 19th century was there any widespread mention of this particular monster, and the first official sighting was published in newspapers in 1933. To this day the existence of Nessie, or a group of Nessie-like animals, has never been officially proven (Bridgland 7). … after entering Loch Ness at Bona Ferry, we have Aldourie House, an old baronial mansion, on the left. On the right the hills are of a ruddy hue, and, as we proceed they gradually develop into mountains, but there is nothing specially noteworthy until… Glen Urquhart slopes down to a pleasant bay on the right hand, and the old fragmentary ruin of Urquhart Castle acquires from its position on the promontory a strikingly picturesque appearance (Baddeley 150)…. We pass perhaps the most picturesque bit on Loch Ness––the fine but fragmentary ruin of Urquhart Castle, standing on an almost isolated rock which projects into the lake (231). Interest in the loch itself, and what might live within it, was not inspired until improvements were made in 1933 to the A-82 Highway, a 23-mile road running along the north shore of the loch (Tranter 79) (see Figure 1). A screen of trees was cleared, offering a better view of the water, which might explain the increase in monster sightings that year (“Loch Ness Timeline”). 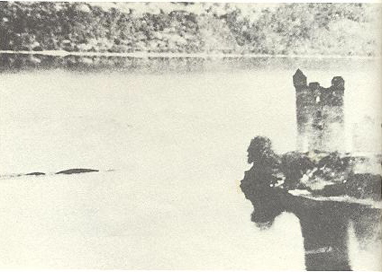 There have been over a thousand sightings of Nessie; in 1934 alone there were over twenty sightings, all on warm, calm days (Bauer 169, 160) (Figures 10 and 11). The locals do not disregard the possibility of Nessie living in the loch, and according to Nicholas Witchell it is a “real issue for which so many people have been fighting for so long” (124-25). The diver Duncan MacDonald was commissioned in 1880 to examine a ship that had sunk at the southern end of the loch off of Fort Augustus (see Figure 1). Not long after he had been lowered into the water he began sending desperate signals that he wanted to be pulled back up. When he emerged he was pale and shaking and refused to speak of his experience for days. Finally when he did speak he said that, as he examined the sunken ship’s keel, he had seen an enormous animal lying on a shelf of rock next to the ship. He said “It was a very odd-looking beastie, like a huge frog.” From then on he never dove into Loch Ness again (Witchell 17-18). 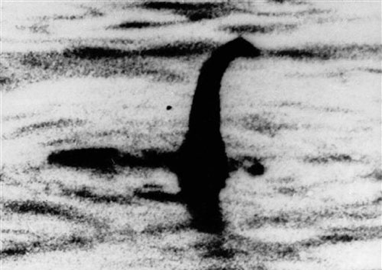 Most reports of Nessie sightings have been similar, describing a large animal with a long neck and small head, between 20-30 feet long and sometimes with flippers on the side when that portion of the animal is visible. 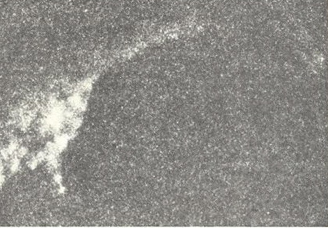 Many disbelievers of the myth speculate about what this creature could be, ranging from giant eels to escaped circus elephants (Jordan) (Figure 12). Some believe that when the River Ness is high, animals may come in from the North Sea such as seals, otters or even small whales (Bauer 160) (see Figure 3). Author F.W. Holiday has drawn a connection between Nessie and the giant marine Orms, or sea serpents, which the Norse called Sjø-Orm, and which inspired the serpentine form of their ships (120). Roy Mackal, a professor at the University of Chicago in the 1970s, theorizes that the monster is descended from an embolomer, a giant primitive amphibian thought to have lived 270 million years ago (Witchell 142). This theory matches Duncan MacDonald’s description of a large frog. 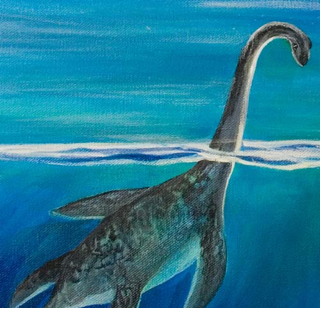 The most popular belief of what Nessie’s species might be is an evolved descendent of a plesiosaur. The plesiosaur was a marine, fish-eating dinosaur living in the British Isles but thought to have been extinct for the last 70 million years (Witchell 141) (Figure 13). A breeding population of plesiosaurs may have become landlocked in Loch Ness once the land rose after the last glaciation (Bauer 162). The most common descriptions of Nessie closely match the way scientists believe plesiosaurs once looked: a long neck and small head, larger body and flippers on either side. However, it seems unlikely that a group of plesiosaurs survived the mass extinction of the dinosaurs 165 million years ago. Even if they did, it is even less likely that their descendants also survived during the glacial cycles in Europe up until 10,000 years ago (“Loch Ness Timeline”). The animal was facing almost head on to the camera. Beneath the body were two clearly definable appendages. The skin looked very rough and potted, even at this range (which had been estimated at thirty to forty feet), and was a red-brown colour (Figure 14). …The picture that came on to the screen was, without a doubt, and I make no apology for the continued use of superlatives, the most remarkable animal photograph ever taken…. It was the head of the creature, in close-up detail from a range of only eight feet…. The head occupied the left-hand section of the frame and was more or less in profile: the open mouth of the animal showed what appeared to be teeth inside it; a prominent, bony ridge ran down the centre of the face into a thick, hard-looking upper lip, one on either side of the central ridge. Most remarkable of all, there were two clearly defined stalks or tubes protruding from the top of the head (149) (Figure 14). 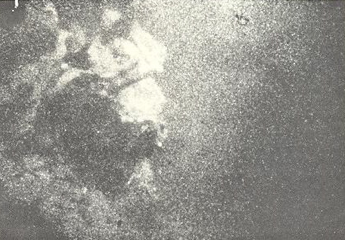 Reproductions of these pictures are of very low quality, which leaves them open to skepticism. The pictures provide proof to those who already believe and further reason for doubt to those who do not believe. Part of the fascination with the Nessie myth is that it never has been proven and is difficult to do so. If affirmative evidence were to be found it is likely interest in the subject would fade. What aspects of this particular loch might inspire and perpetuate such a myth as the Loch Ness Monster? A feeling of mystery and gloom is embedded within the landscape, from the heights of the flanking mountains to the depths of the cold loch. 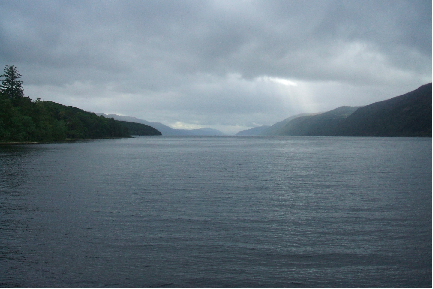 Edmund Burt described the mountains surrounding Loch Ness as having “stupendous bulk, frightful irregularity, and horrid gloom, made yet more sombrous by the shades and faint reflections they communicate one to another” (qtd. in Bridgland 124). The loch itself has many qualities which might inspire myths of monsters lurking beneath its dark waters. It can flood its shores easily, making it dangerous during times of high rainfall. The catchment area is large enough that the level of the loch can rise quite rapidly (Witchell 11). As an example, Loch Ness is recorded to have risen nine feet between 1843 and 1847, and in 1849 it rose four feet in just one day and flooded the adjacent land (Jones et al. 44). Loch Ness is oligotrophic, which means that it is deficient in plant nutrients yet has high oxygen content in the depths (Jones et al. 43). The waters have a low pH value, and the acidity combined with its steep banks do not allow for significant plant growth (Witchell 11). Sightings of the Loch Ness Monster have been attributed to a floating island or a vegetation mat, however, this is unlikely due to the loch’s unfriendly conditions for plant growth (16). The floating island could possibly have been the single crannog built in the loch, but such a mistake is doubtful. 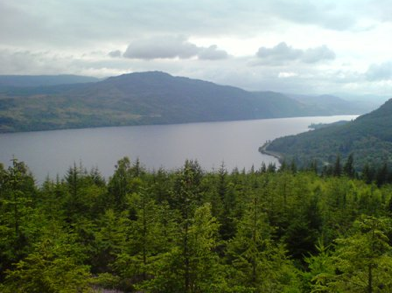 The waters of Loch Ness are acidic because a large quantity of peat debris is washed down from the bogs above the tree line by the tributary rivers. The peat particles are suspended in the water fifty feet below the surface, making the water opaque and apparently quite eerie for divers. Although the surface temperature of the loch varies with climate conditions, the waters below fifty feet, at the line where visibility is limited, remain a constant temperature of 42°– 44° Fahrenheit year round (Witchell 11). Sediment accumulation has been increasing in Loch Ness since 1820, when the Caledonian Canal was constructed (Jones et al 44). 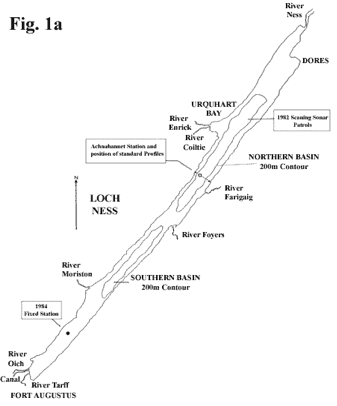 The canal connects Lochs Ness, Oich, and Lochy, and runs for 60 miles from the Atlantic Ocean to the North Sea (Witchell 21) (see Figure 3). Sediment deposits from the canal have further decreased visibility in the loch, as have higher erosion rates from afforestation. In the 1980s, land near the loch’s shores was plowed and planted with tree plantations, causing topsoil to erode into the loch (Jones et al. 45). Many people drawn to the myth of the Loch Ness Monster speculate on why, if there is a breeding population of large animals, no carcasses have ever been found. There is a local saying about Loch Ness: “the loch never gives up its dead.” Due to its great depth and cold, the loch claims dead bodies and sinks them to the unknown depths of the lake bottom (Witchell 146). This feature of the loch is one that might inspire fear and curiosity as to earlier inhabitants of the Great Glen; all evidence of the past lies inaccessible on the lake floor. The suggestion has been made that Nessie, or the population of Nessie-like animals, has been killed by pollution in the loch (Bauer 165). Nine sewage works empty into Loch Ness and have slowly been adding excess nutrients and causing eutrophication in the loch over the last few decades (Jones et al. 38). The existence of the Loch Ness Monster has never been proven to the world, but if the chance were lost due to human negligence it would be a great loss to science and mythology both. The legend of the Loch Ness Monster has been upheld by its uncertainty and its roots in oral tradition, and there is the hope that it will be carried into generations of the future as well. 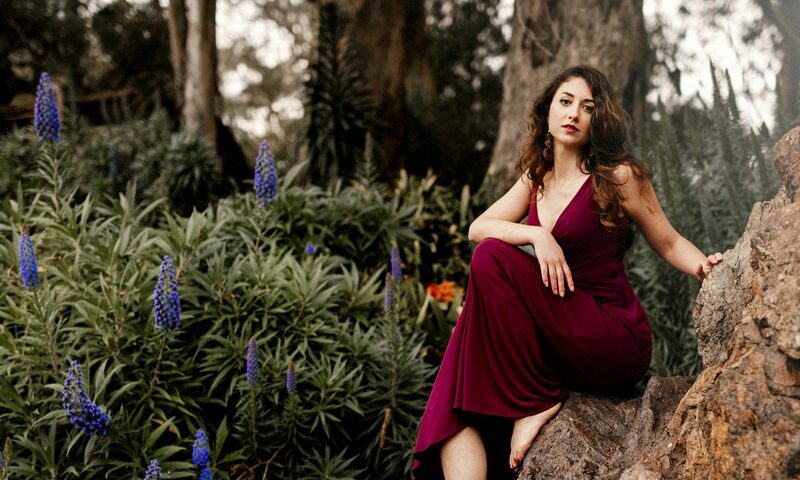 The legend of the Loch Ness Monster, and of so many other mythical Highland creatures, stems from the human imagination and the inspiration provided by a mysterious landscape. The conditions of this landscape were created before humans were even present in the area. 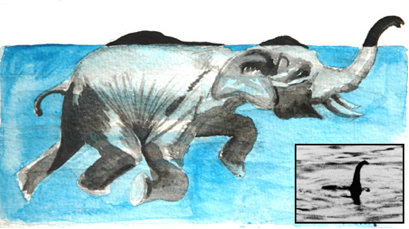 The glacial cycles and the rising land formed a steep, cold freshwater lake; centuries later that process inspired the idea that an enormous animal might have been trapped within the lake. The only observers of the loch were those living in its direct vicinity, from the early hunter-gatherers to the nobility of Urquhart Castle and the tradesmen of Inverness. The isolation of the Highlands kept sightings of Nessie to a minimum until the 20th century when the myth exploded into a worldwide fascination. Whether there is, or was, a Loch Ness Monster is not the question to ask of this landscape, but rather why this landscape inspired the myth. The gloom of the mountains, the eerie invisibility in the water, the unknown depth, and the fact that all dead bodies sink to the bottom all offer reasons to believe more lies beneath the waves than is known. Loch Ness is an ecological system perfect for the creation of a myth. Baddeley, M.J.B.. Scotland (Part I); Edinburgh, Glasgow and the Highlands. London: Dulau & Co., 1889. Barron, Hugh (ed.). The County of Inverness. Edinburgh: Scottish Academic Press, 1985. Bauer, Henry H. The Enigma of Loch Ness : Making Sense of a Mystery. Urbana: University of Illinois Press, 1986. Bridgland, Nick. Urquhart Castle and the Great Glen. London: Batsford, 2005. Holiday, F.W. The Great Orm of Loch Ness. London: Faber and Faber Limited, 1968. Jones, Vivienne J., Richard W. Batterbee, Niel L. Rose, Chris Curtis, Peter G. Appleby, Ron Harriman, and Adrian J. Shine. 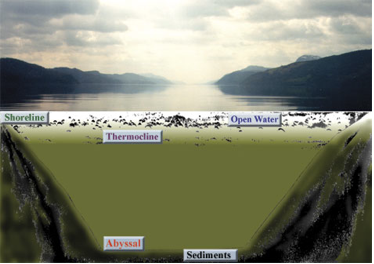 “Evidence for the pollution of Loch Ness from the Analysis of its Recent Sediments.” The Science of the Total Environment. 203(1997): 37-49. Jordan, Mary. “Elephantine Theory Stirs Misty Waters of Loch Ness.” The Washington Post 8 March 2006 Web.7 May 2009. <http://www.washingtonpost.com/wp- dyn/content/article/2006/03/07/AR2006030701434.html>. Shine, Adrian. “Loch Ness Timeline.” Loch Ness & Morar Project. 2000. 1 April 2009 <http://www.lochnessproject.org/adrian_shine_archiveroom/loch_ness_archive_ti meline.htm>. Tranter, Nigel. The North-East: The Shires of Banff, Moray, Nairn, with Easter Inverness and Easter Ross. London: Hodder and Stougton Limited, 1974. Witchell, Nicholas. The Loch Ness Story. Revised. edition. Baltimore: Penguin Books, 1975.